I am delighted to introduce Fasil Getachew, who joined the International Livestock Research Institute (ILRI) African Chicken Genetic Gains (ACGG) program on 20 April 2015 as research associate based in Addis Ababa, Ethiopia. 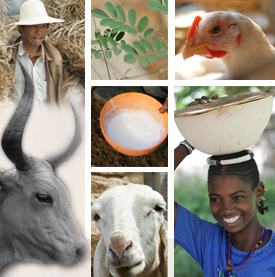 Fasil has a BSc degree in animal science and MSc in animal genetics and breeding from Harmaya University, Ethiopia. He has 14 years’ professional experience in livestock research, development and teaching. He worked for six years in various positions at the Sirinka Agricultural Research Centre of the Amhara Region Agricultural Research Institute (ARARI) including as head of the Department of Livestock Research and as sub-research centre Manager. Previously, he lectured for five years in the faculty of veterinary medicine of the University of Gondar where he taught animal genetics, breeding and livestock production to undergraduate students of agriculture, veterinary medicine, animal health and biotechnology. 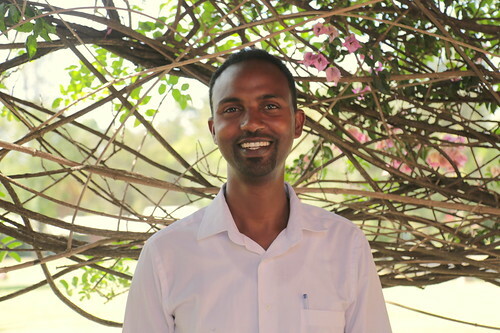 For the last three and half years, Fasil has served as national coordinator for domestic animal biodiversity research in the Ethiopian Biodiversity Institute (EBI). His research experience covers animal genetic improvement, characterization, sustainable utilization and conservation in use. He has published a number of peer-reviewed journal articles. Tags: ACGG, Fasil Getachew. Bookmark the permalink. I wish Fasil Getachew great success in his new position. Reading through your profile is enough to indicate that you have the expertise to deliver. I wish you the very best in your new assignment. Thanks colleagues! I am happy I had the chance to know you in person. Looking forward to work with you!